Want to make more money in your screen printing shop? Build the right client intake process. The correct screen printing client intake process means greater print quality, more consistent production, better jobs, higher profits, and happier customers. This in-depth guide will show you how to begin asking the right detailed, specific, and actionable questions every time you take an order for screen printing and custom merchandise. It will also arm you with examples of two forms that will help you do this in your shop: a customer profile sheet and a recommended garments form. 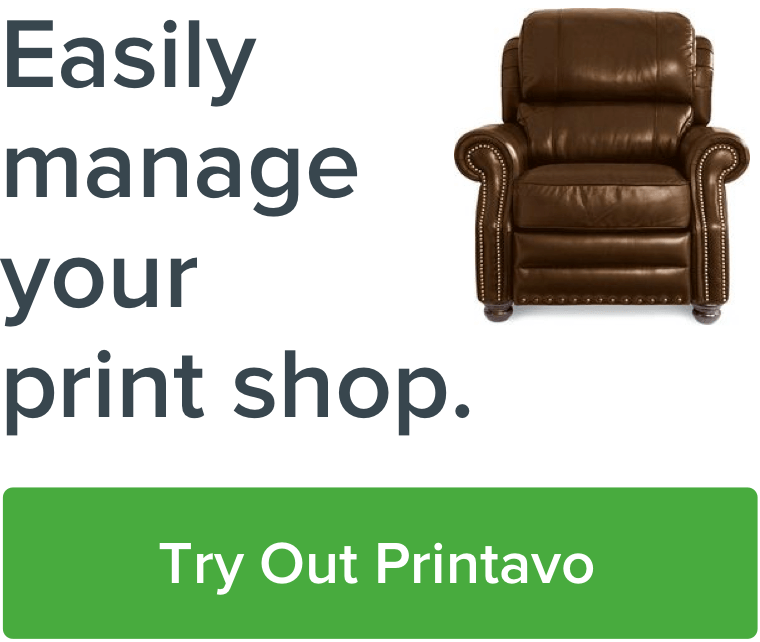 Part customer success, part customer education, part production management, and part sales – building your client intake process is an extremely high-value activity for any print shop. At Merch Monster, we ask all customers a standard set of questions each and every time they start a new project with us. This accomplishes two really important things: it helps my shop determine the scope of the project, and it helps us provide the most accurate cost estimate we can. Our questionnaire is kept in Salesforce CRM, along with the answers captured from the customer. Completing the questionnaire is mandatory in order to get a quote. Merch Monster's custom SalesForce order intake questionnaire. If a customer says “I just want a general price” or “I don't want to answer all these questions,” that’s usually a red flag that they’re not a good fit for my shop. If they're adamant, we tell them: "The price for a shirt is between $5 to $25." They have to answer all of the questions – otherwise it’s not worth our time to quote the project! The first four or five questions are self-explanatory. They're required for basic record keeping. They give you the basic actionable info you’ll need to move the order forward. You want high-quality data to ensure every communication goes exactly where it should. Phone contact is crucial for rapid communication about production, scheduling, and any details we may need. Email is required for sending payment requests and email marketing follow-ups. Quick tip: Capturing email addresses over the phone? Spell back their email address to them phonetically. This is mandatory for Salesforce. But it’s also helpful for your own marketing efforts and understanding the larger context of the order. The next questions are qualifier questions. The goal is to determine whether this customer is a good fit for your shop. If you weed out bad clients, unprofitable jobs, and unrealistic expectations early in the sales process, you keep your shop operating smoothly and build a far more satisfying customer experience. Determine the exact quantity that the customer wants to purchase. Have a minimum order size. Our minimum order is 36 pieces, and we inform every client about this requirement. Setting your minimum quantity is a deep topic, but the reasoning is simple: small orders are the same amount of work for less revenue. If the customer doesn’t know an exact quantity, get an estimate. Some clients won’t know exactly how many garments they’ll need. If you’re building a quote, you need figures to work with. Ask for an estimate: Do you need 50, 500, or 5,000? Educate your customer about quantity discounts, and explain that you base your quotes off quantity. Your cost for 500 shirts should be much different than your cost for 50 shirts. Determine the customer’s desired goods in hand date. Don’t immediately divulge your regular turnaround time. If they want a rush job and are under pressure, they may simply look elsewhere. If you inquire about their needs, you may be able to charge a premium for a rush order. Determine feasibility. Can you actually complete this job in the alloted time? It’s better to refer a customer to another shop than poorly execute their order. Schedule appropriately. Rush job? Short turnaround time? Check with your production manager to ensure that you have enough capacity. Leverage urgency. Customers with tight schedules have less time to shop around for lower prices.These are great opportunities to close sales if your production capacity allows it. Leverage the urgency to force the sale! Different events and businesses align best with different garments. When you’re taking a new order, you want to develop a profile that’s focused on their needs. This means understanding exactly what they're going to do with the shirts and merchandise you print for them. You need to be specific so you don’t make the wrong assumptions. But there’s still some basic trends you can follow. Elementary or Middle Schools: Schools will prioritize affordability and youth garments, often in the school’s color. Recommended garments: Port and Co PC54Y, PC90YH hoodie. Women-oriented activewear (Yoga studios): High-end activewear. Unless you are really familiar with women’s styles, send a link to the Bella + Canvas or Alternative Apparel women’s catalog and help them narrow down options. The simplest way to gain control over your intake process is to know exactly which garments you'll recommend to which customers. These recommended garments will act as your starting point for your intake staff. Standardizing your process reduces the time it takes to communicate with customers and improves profitability – you can recommend higher-priced garments and guide the customer to the optimal choice. Exact garment details. Specify whether the customer wants t-shirts, sweatshirts, hoodies, jackets, hi-vis vests, etc. Sizes. Specify whether the desired garments are men's, women’s, youth sizes and determine supplier availability. Price range. “Do you want the nicest garments possible, the least expensive garments possible, or a combination of cost and quality?” We call this the “Kia, Lexus, or Rolls-Royce” question. It breaks down into a fairly even distribution. Garment colors. Talking to customers about colors is a challenge, but an important tactical question. For example, if a customer must have their shirt in brown – but there’s not brown available from the manufacturer – then you can’t recommend that shirt. This helps winnow down your recommendations. Here’s a challenging task: reprinting a job that another print shop did. Screen printing shouldn't be this nerve-wracking. Illustration: Helene Jean-Bon. How you talk about reprinted jobs is crucial to customer success. You’ll need to set reasonable expectations. I like to begin by explaining that if we get an example of the previous shirt, it’s going to be 90% similar. If they can’t furnish an example, it might be between 50% to 75% similar. A picture of the shirt the customer wants to reprint won’t cut it. It’s helpful, but not helpful enough. You will not be able to get the exact specifications and dimensions from a photograph – there is not enough information there for you to accurately reproduce it. Check the printed ink colors against stock colors or Pantone colors. Measure the printed artwork size. Was the garment too big, or too small? Was the print location correct? Were the ink colors correct? You’ll find that customers that want reprints are often unhappy with the first job (and that’s why they’ve come to you for their order). If you get the print right, you’ll likely earn a long-term customer. That’s why finding their problems with the original print is so valuable. If the customer has “print-ready art,” make sure they send you the art file during intake even if the art isn’t finished. The reasoning is simple. You’ll have a much better idea about what you are working with – and can stop problems with art before they start. A pre-print checkup during the intake process prevents headaches and back-and-forth with the customer over their art. Here’s how to implement this: during the initial contact, task the customer with sending your shop their art. Ask them to send an email with the file attached to your help desk system. If it’s a larger file, they’ll need to upload it to their preferred cloud storage service (Dropbox, Google Drive, Box) and send a sharable link to your shop. Don’t issue a quote until you have some idea about what’s involved with the art! You can write a quote without print ready art, but I like to let customers know that the quote is subject to revision based upon the final artwork. Your most accurate quote can only be issued once you’ve seen the completed art – so follow up if you received unfinished art from the customer. If you spend some time during intake to communicate about the screen printing process, you can dramatically improve customer expectations. There’s a handful of topics that most customers don’t fully understand, but explaining them is an easy process. Print locations: Most customers don't understand that multiple print locations increase the amount of labor required. Carefully discuss how multiple print locations will raise their price, and show why this is the case. Explain that a front-only print is the most affordable, and how each location adds time and effort to the process. Colors: Screen printing labor costs are directly correlated to the numbers of colors in the design and the number of screens you’ll need to produce and setup on your printing press. This is simple to explain: a three color print costs more than a one color print, because there’s two additional screens to create and two additional impressions required. If your customer doesn’t know how many colors will be in their design, have them guess. They don’t need to give you an exact number right away, but it’s a helpful starting point. Matching ink colors: Make sure you ask the customer if an exact color match is required. Some brands (particularly larger and more established brands) have strong and exact requirements for the colors they use. For example: if you’re printing for VISA, you’ll have to use Visa Blue PMS 280C and Visa Gold PMS 130C. If you don’t get the right colors, you’re going to have a costly reprint to process when Visa’s creative design team finds out you’ve botched their 5,000 shirt order. Have a specific and exact conversation about color and branding requirements. If the person you’re talking to doesn’t know – find out who to communicate with to get the info you need. Type of decoration: Our intake form has a box for what type of decoration they need – we don't usually ask them about it. Instead, we just mark it down as we go through order intake. For example: if they say they want to print a full-color photo, we’re going to use DTG. Team names and numbers, we’ll mark down vinyl. Simple one-color logo, it’s a screen print. Accounting for transit time to meet the customer’s in-hand date. If customer needs the job in-hand on the 10th, and transit time is 3 days, you need to ship (at the latest) on the 7th. Shipping is a great example of how building a client profile helps you anticipate their needs. Here's an example: In the Bay Area, people are super busy and getting around takes a long time. Most of my clients don't want to come pick up their order – but their company will gladly pay for shipping. Customers purchasing orders for themselves or their small business typically pickup to save on shipping charges. When you know who you're printing for, you can plan to accommodate their unique requirements. Plenty of clients want perfection, but can only afford a cheap copy. The last questions you ask are the most sensitive. They revolve around the customer’s expectations about pricing, their budget, and whether they’re being realistic about what’s possible. Objections and other challenges can crop up here, so tread carefully. Does the customer have realistic cost expectations for this job? Can we reduce the cost by eliminating print locations? Can the customer choose a less expensive garment? Some customers may be hesitant to let you know their budget because they feel like it puts them at a disadvantage. If the customer says their budget is $1000, but the project was only going to be $500, they assume that you're going to inflate the cost of the project to fill their budget. You have to make them feel comfortable and convey trustworthiness before you ask about their budget. The last question that you want to ask them is not really a question. It’s an offer. Upselling and cross-selling are critical to increasing your profits. Always let your customer know that you sell more than just t-shirts. If you don't ask, you'll never know. Even if they don’t need anything else now, you've shown that you offer all kinds of services – and you can help them in the future. A standardized, profit-driven client intake process is the first step in building a lucrative screen printing business.